Daniel Dorall’s work deals with translating architectural model making into sculptural objects. 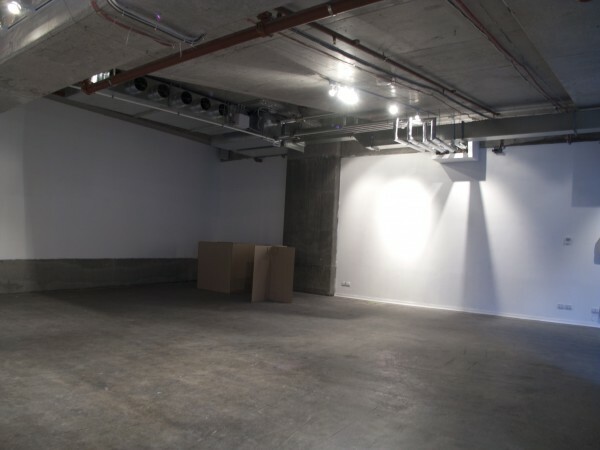 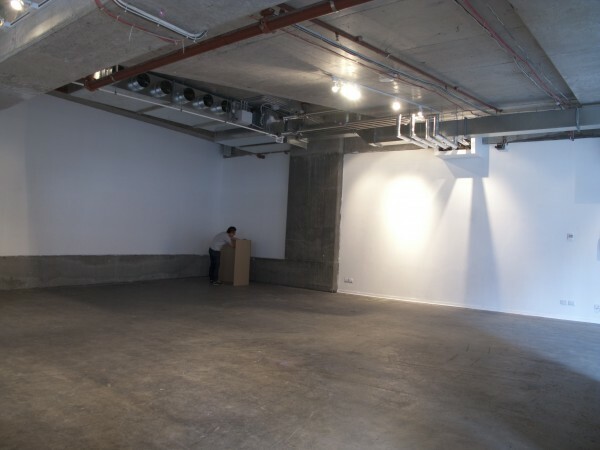 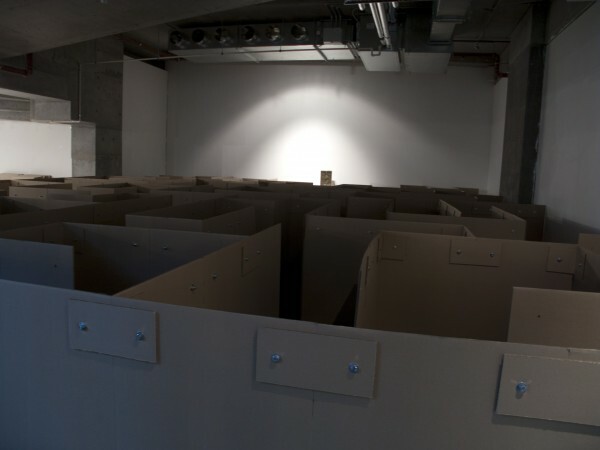 He uses the labyrinth or the maze as a catalyst to link the practical and representational object - the architectural model, to the aesthetic and symbolic object – the maze object. 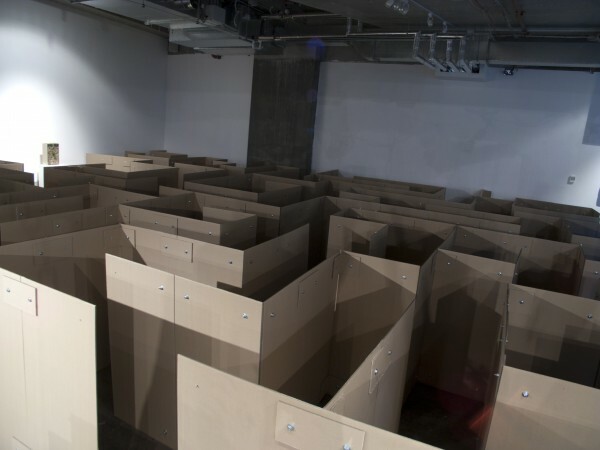 Mazes have long been seen as symbolic for transformation and translation and the first incarnation of the maze or labyrinth is also linked to the myth of Daedalus – the first architect. 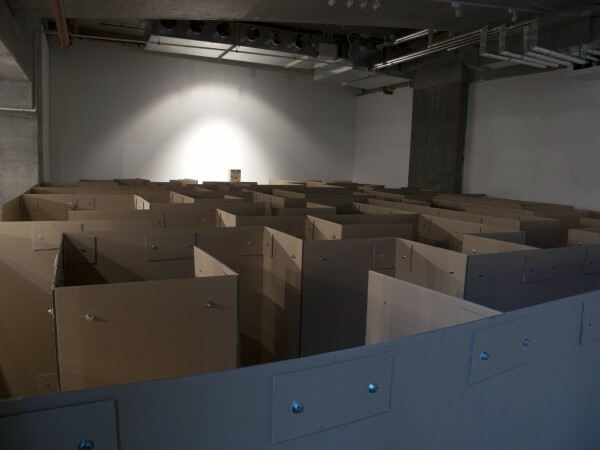 Dorall’s most recent work involves inverting the traditional concept that architectural or scale models are seen as studies for human-scale buildings or final constructions. He aims to convince the viewer that the miniature object can be the final object. He has been exploring this concept by building full size walkthrough mazes and placing the maze object within these mazes. 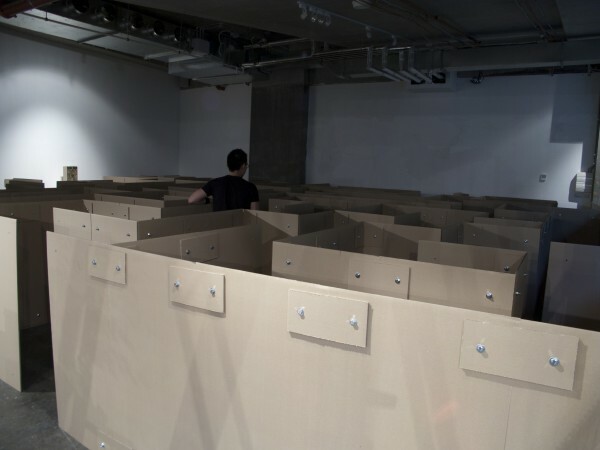 The viewer is asked to walk through the installation maze and experience its journey. When they finally discover the maze object, they get a better understanding (through their recent experience) of the narratives involving the figurines in the maze objects. 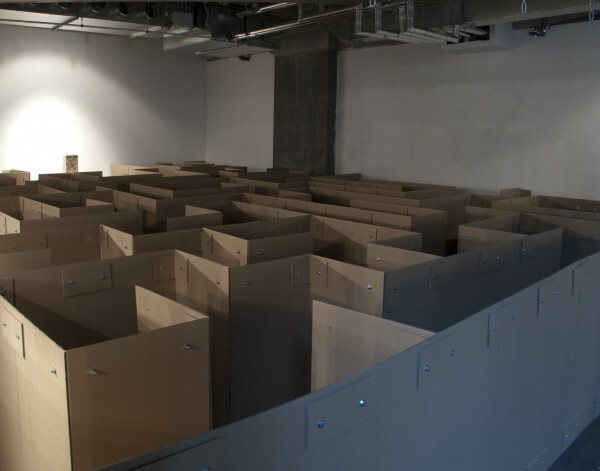 In this major solo exhibition Dorall explores the concept of using full size constructions and installations as studies for the miniature – on a grand scale. 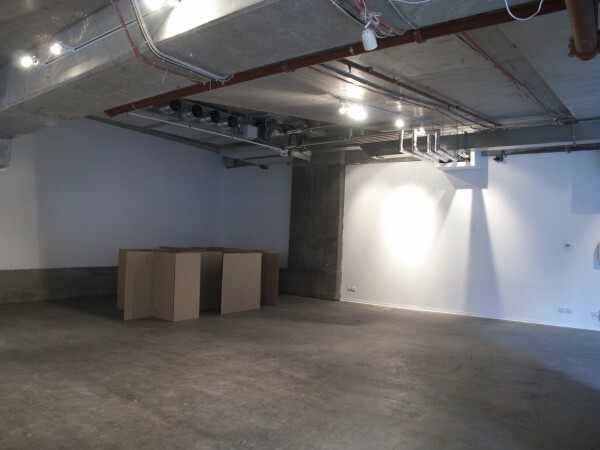 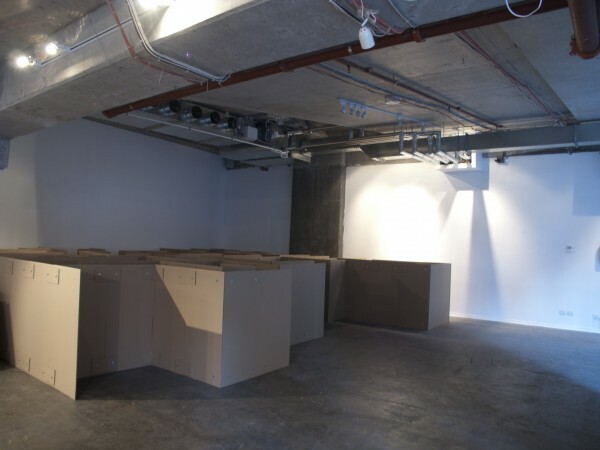 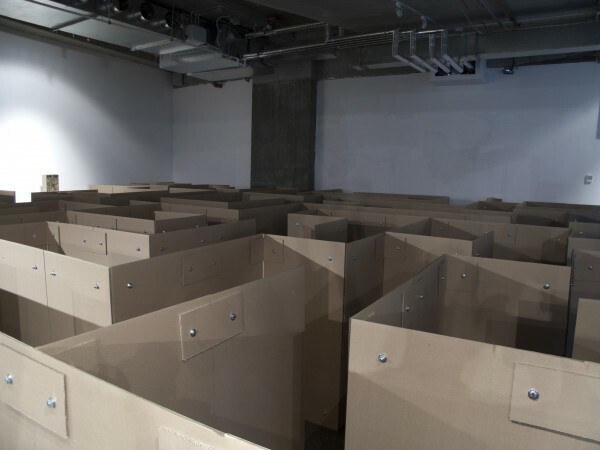 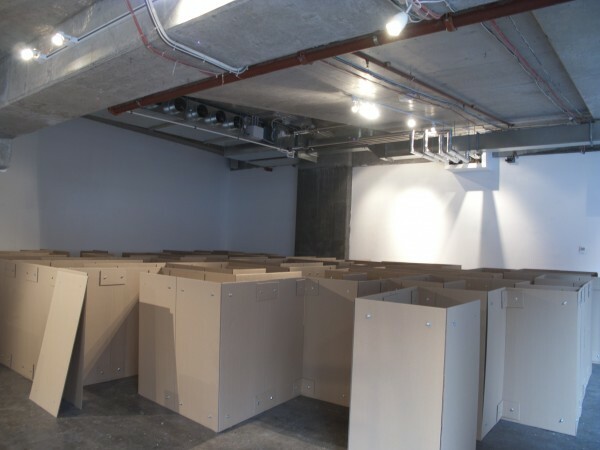 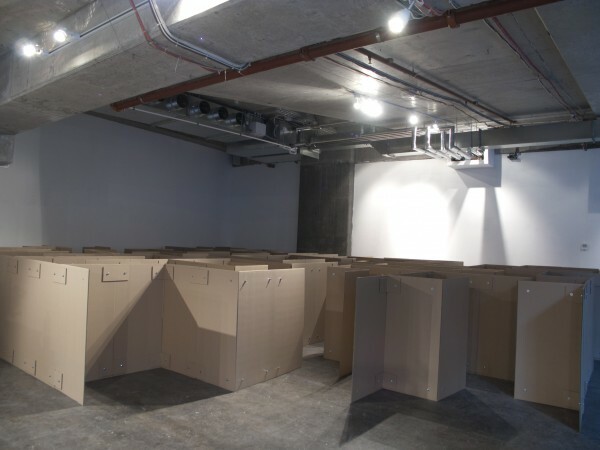 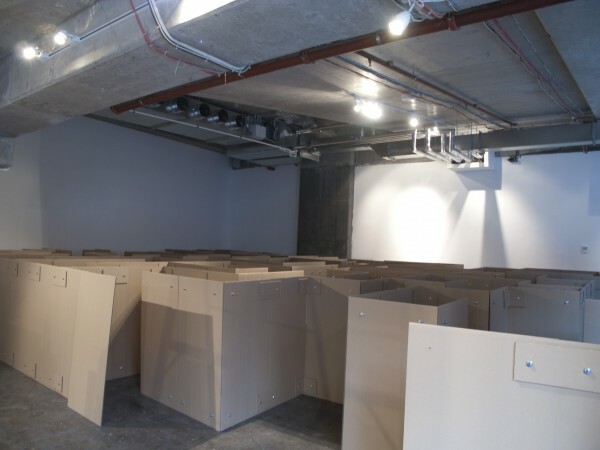 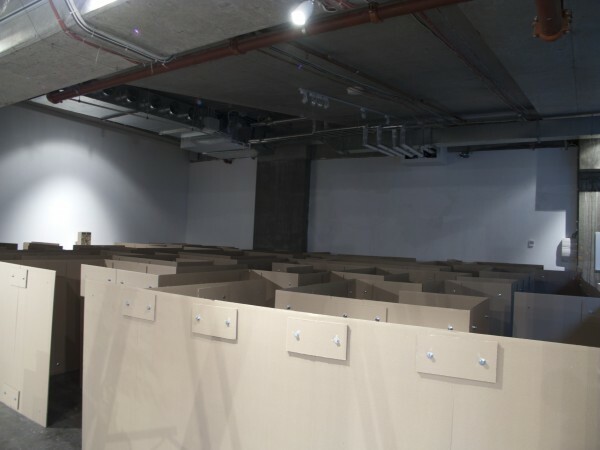 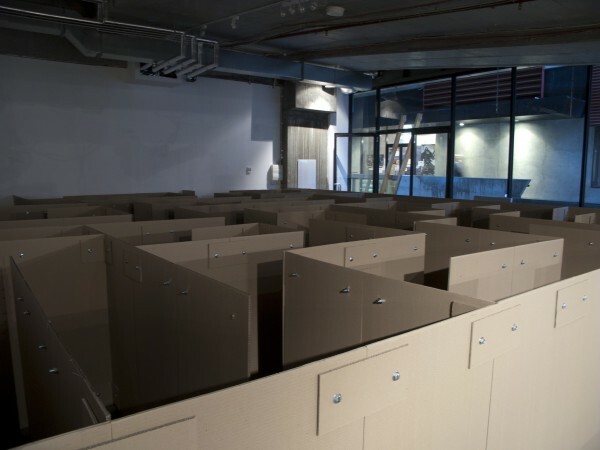 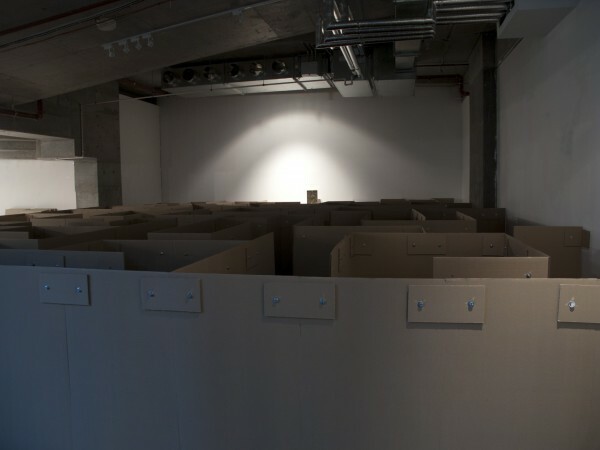 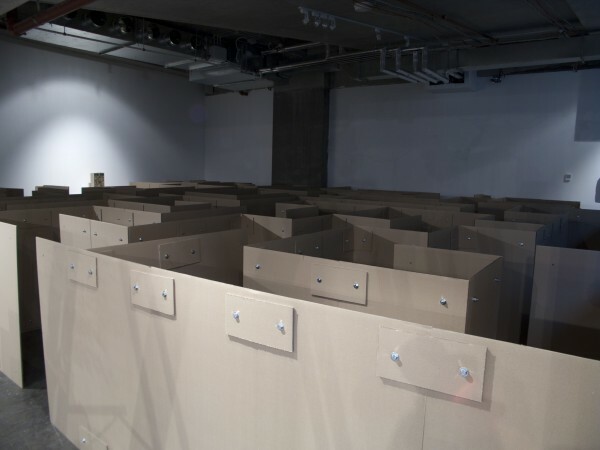 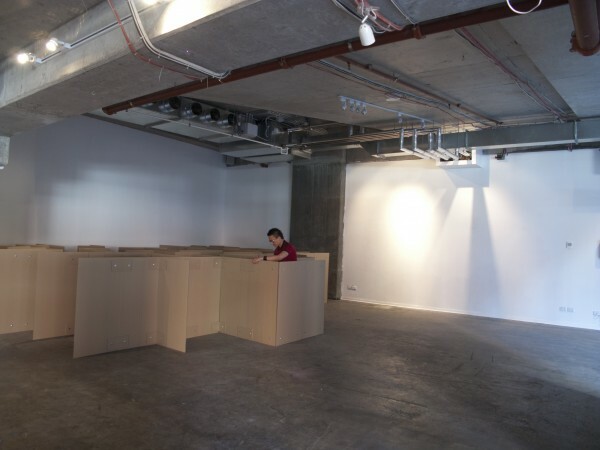 The exhibition consists of a walkthrough cardboard installation maze, inviting the viewer to meander through its corridors finally arriving at the sculptural maze object. 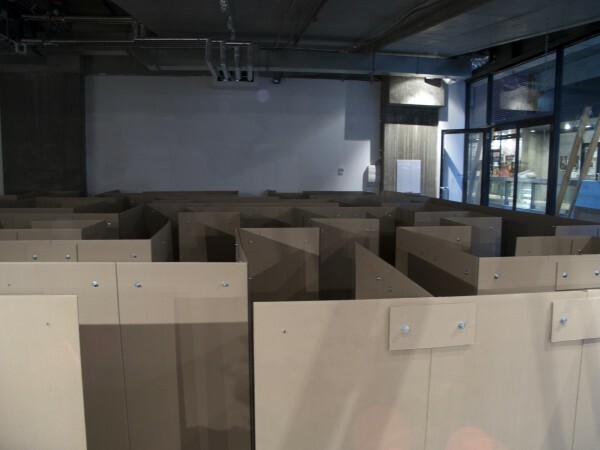 As the anthropomorphic maze installation is positioned as a precursor to the maze object, it acts as a study by allowing the viewer to experience first-hand the emotions and ambience of the construction. 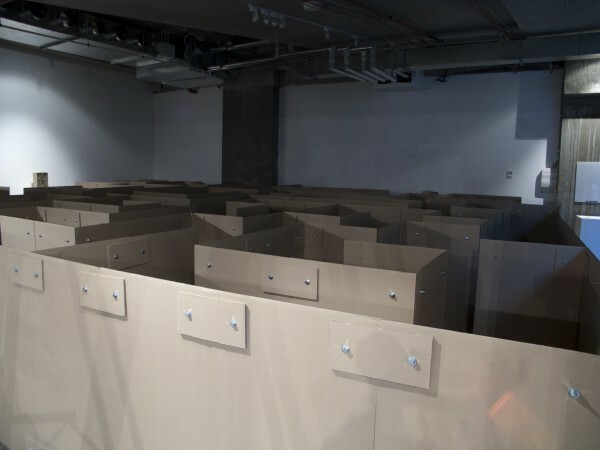 At the end of the journey, the viewer has a better understanding when viewing the figurines playing out the narrative within the maze object – in tragic, comedic or horrid detail. 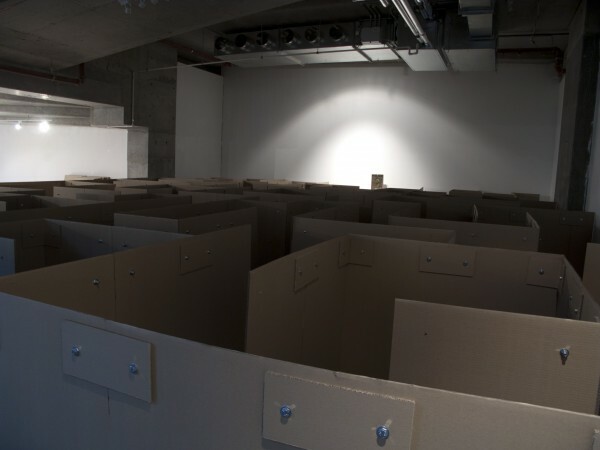 Thus the idea of a miniature or scale model as a study and the full size construction as the end product - is inverted. 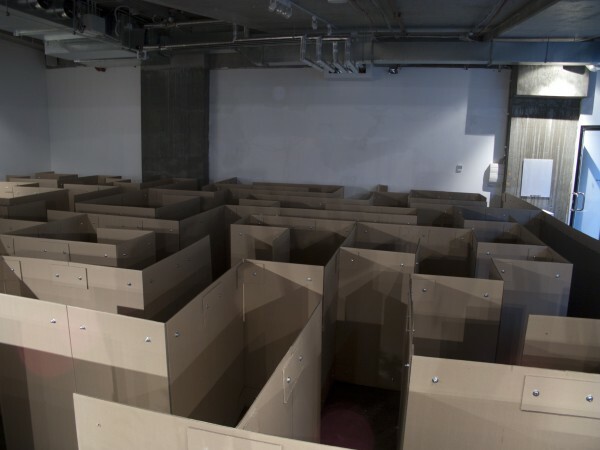 This is the basis of the inversion theory.